Indicators - Accurate Scale Industries Ltd. LOOKING FOR THE RIGHT WEIGHT INDICATOR FOR YOUR SCALE? ACCURATE SCALES HAS INDICATORS WHICH WILL FIT ANY WORKFLOW. 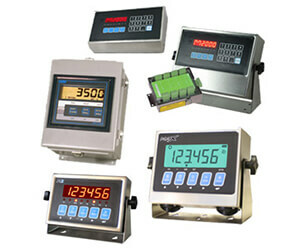 Accurate Scale offers a selection of Western Scale digital indicators ranging from our basic M1 to our versatile M2000, to the new APX with expanded communication choices including USB and Ethernet TCP/IP. Our advanced devices are ideaaly suited for data collection applications, connectivity to PC and PLC systems and custom print formatting. Contact our office for more information or to inquire about a specific model. Stainless steel, super-durable design and construction.